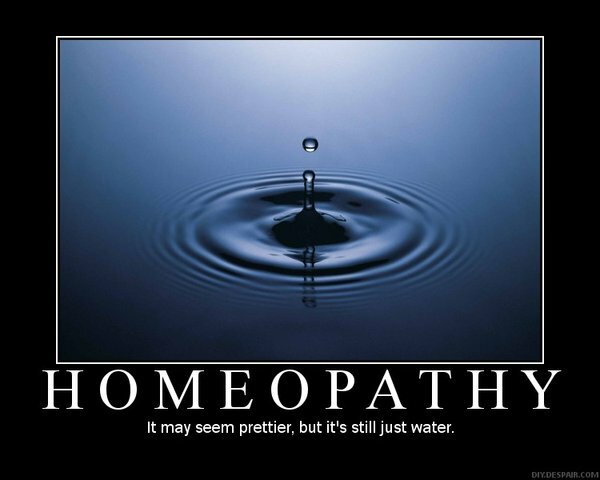 There is an American group called Homeopaths without Borders (HWB), who claims that it provides humanitarian aid, in the form of homeopathic “medicine” or just plain water, to devastated areas of the world. The more famous group that does real lifesaving work across the world, Doctors without Borders, are probably too busy, utilizing real evidence-based medicine with real medications, risking their own lives, and performing great service humanity, to be worried that a bunch of pseudoscientific homeopaths stole their noble trademark to push quackery. HWB is sending their water magicians to Haiti, Guatemala, Dominican Republic, Sri Lanka, and El Salvador, all countries that have suffered so much during the past few years. During their time in Haiti, “the team will be in Port-au-Prince to complete the final session of the Fundamentals Program—a foundational curriculum in homeopathic therapeutics incorporating theoretical and clinical training.” So not only are they providing nonsense, useless, unscientific healthcare to Haiti, they are training new homeopaths there. Haiti needs to train real doctors who use science based medicine, not quack medicine. So what is HWB specifically planning to do in Haiti? HWB volunteers provided homeopathic care to 890 people in 2012 in community clinics in Port-au-Prince and rural communities—in some locations, a full two-day walk from the nearest doctor. We enrolled 24 students and began the second Fundamentals program in rural Belle Anse, the remote, southeastern coastal region of Haiti. To ensure that homeopathy holds a respected and sanctioned place in Haiti’s healthcare community, the Homeopathe Communautaires are currently seeking licensing through Haiti’s Ministry of Health. We’ve begun to develop valuable organizational infrastructure in Haiti, by partnering with two community services [sic] nonprofits in Haiti and establishing an on-site homeopathic stocking pharmacy in Port-au-Prince. Stocking a pharmacy? With water? Homeopathy is founded on the belief that diluting a substance increases it’s potency. Of course, there is no evidence for this, and it violates all the laws of quantum physics, but homeopaths firmly believe this nonsense. A true homeopathic solution is one part of a substance (whatever it is – it could be duck guts) that is diluted in another 100 parts water. Then one part of that weak solution is then diluted into another 100 parts of water. Each single dilution is called 1C, so two dilutions would be called 2C, with one part of the similar diluted in 10,000 parts water. But it doesn’t stop there. Homeopathy uses >30C dilutions, which means that the dilution is simply water. At 30C, the dilution is now 1 part substance to 10^60 (or 10 followed by 60 zeroes) parts water. You would need to drink 10^34 (or 10 followed by 34 zeroes) gallons of water (which is about 10 billion times the amount of water on earth) just to get one molecule–one single molecule of the original substance. That’s just impossible. To get around this problem, homeopaths claim, without a scintilla of evidence, that somehow water retains a “memory.” Again, unless everything we know about quantum physics is completely wrong (at which point a homeopath can present evidence in a peer reviewed journal and then receive their Noble Prize), there is simply no wait for two hydrogens and one oxygen to retain the memory of anything. That’s just not how simple molecules work. Homeopathy is considered quackery by the medical community. There is no evidence that homeopathy works in clinical trials. And again from Cochrane (based on the platinum standard of medical evidence, a meta analysis). In case of overdose, consult a lifeguard. As opposed to the pseudoscience pushing crowds, I didn’t cherry pick, except to not spend 10 hours listing out every single article that debunks the myth of homeopathy. Three of the articles are meta reviews from the gold standard of meta reviews, the Cochrane Collaboration. Recently, there’s been a push by the pseudoscience front to claim that homeopathic potions can relieve coughs. Yes, water can relieve coughs better than – not sure what, since they didn’t actually compare it to standard treatment. They just looked at sputum velocity – gross. This article was published in a journal with the microscopically low impact factor of 0.151. Seriously, that means an average article published in this trash journal gets cited 0.151 times a year. It’ll take 7 years for it to even be cited once. And the “research” (damn irony meter broke again) was sponsored by the most vile (get it) Big Homeopathy company, Boiron. Real evidence that they are nothing more than shills. So the researchers placed children into two placebo groups, then jump to all sorts of crazy conclusions, like antibiotics wouldn’t help. As if a real physician would give antibiotics for a cough. To quote Mark Crislip, “Worst. Homeopathy. Study. Ever.” Succinct. Snarky. Love it. [infobox icon=”quote-left”]Despite Homeopaths Without Borders’ claims to the contrary, “homeopathic humanitarian help” is a contradiction in terms. Although providing food, water, and solace to people in areas affected by wars and natural disasters certainly constitutes valuable humanitarian work, any homeopathic treatment deceives patients into thinking they are receiving real treatment when they are not. Furthermore, training local people as homeopaths in affected areas amounts to exploiting vulnerable people to increase the reach of homeopathy. We shouldn’t confuse humanitarianism with quack medicine. Homeopathy doesn’t do anything, except to quench thirst. Of course, fresh water is always a problem in disaster areas, so maybe I shouldn’t complain too much that homeopaths decide to provide water to these people. Except for that pretending that it cures maladies, thereby keeping these people from getting real help. These quack medicine pushers have no ethics, no morals. Go away. Editor’s note: This article was originally published in September 2013. It has been revised and updated to include more comprehensive information, to improve readability and to add current research. Coulter MK, Dean ME. Homeopathy for attention deficit/hyperactivity disorder or hyperkinetic disorder. Cochrane Database Syst Rev. 2007 Oct 17;(4):CD005648. Review. PubMed PMID: 17943868. Impact factor: 5.72. Kleijnen J, Knipschild P, ter Riet G. Clinical trials of homoeopathy. BMJ. 1991 Feb 9;302(6772):316-23. Erratum in: BMJ 1991 Apr 6;302(6780):818. PubMed PMID: 1825800; PubMed Central PMCID: PMC1668980. Impact factor: 17.215. Linde K, Clausius N, Ramirez G, Melchart D, Eitel F, Hedges LV, Jonas WB. Are the clinical effects of homeopathy placebo effects? A meta-analysis of placebo-controlled trials. Lancet. 1997 Sep 20;350(9081):834-43. Erratum in: Lancet 1998 Jan 17;351(9097):220. PubMed PMID: 9310601. Impact factor: 39.06. Linde K, Scholz M, Ramirez G, Clausius N, Melchart D, Jonas WB. Impact of study quality on outcome in placebo-controlled trials of homeopathy. J Clin Epidemiol. 1999 Jul;52(7):631-6. PubMed PMID: 10391656. McCarney RW, Linde K, Lasserson TJ. Homeopathy for chronic asthma. Cochrane Database Syst Rev. 2004;(1):CD000353. Review. PubMed PMID: 14973954. Impact factor: 5.72. McCarney R, Warner J, Fisher P, Van Haselen R. Homeopathy for dementia. Cochrane Database Syst Rev. 2003;(1):CD003803. Review. PubMed PMID: 12535487. Impact factor: 5.72. Shang A, Huwiler-Müntener K, Nartey L, Jüni P, Dörig S, Sterne JA, Pewsner D, Egger M. Are the clinical effects of homoeopathy placebo effects? Comparative study of placebo-controlled trials of homoeopathy and allopathy. Lancet. 2005 Aug 27-Sep 2;366(9487):726-32. PubMed PMID: 16125589. Impact factor: 39.06. Shaw DM. Homeopaths Without Borders practice exploitation not humanitarianism. BMJ 2013 Sept;347:f5448. doi: 10.1136/bmj.f5448. Impact factor: 17.215. Wahlberg A. A quackery with a difference-new medical pluralism and the problem of ‘dangerous practitioners’ in the United Kingdom. Soc Sci Med. 2007 Dec;65(11):2307-16. Epub 2007 Aug 24. PubMed PMID: 17719708. Impact factor: 2.733.